TALKS to form a power sharing executive have failed ahead of this afternoon’s 4pm deadline. Over the weekend politicians failed to reach agreement on any crucial issues such as an Irish language act, legacy issues or marriage equality, with the DUP failing to show up for talks on Sunday. 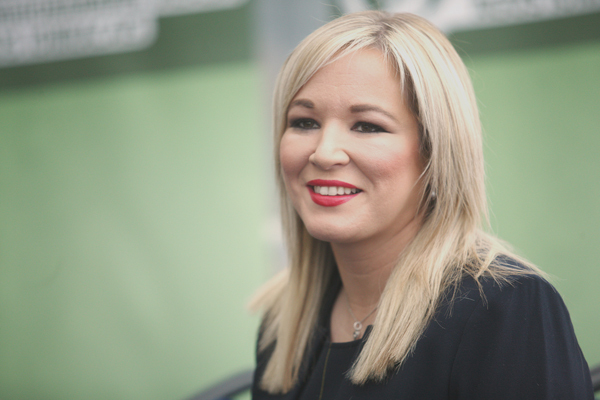 Speaking on Sunday Michelle O’Neill said: “This talks process has run its course. Sinn Féin will not be supporting nominations for Speaker or the Executive tomorrow. “When the extent of the RHI scandal became apparent and the First Minister refused to step aside, Martin McGuinness acted and made clear there could be no return to the status quo. “The decision by Martin McGuinness to resign was endorsed in the election. “The election result has transformed the political landscape. The approach of the unionist parties and the governments must reflect this change. “We entered talks to implement what had already been agreed, to rebuild public confidence in an Executive and Assembly, operating on the basis of equality and respect and rights for all in society. “This was an entirely reasonable approach. “Sinn Féin in the talks sought the full implementation of the outstanding issues of equality and rights. The governments and the DUP have failed to step up to the plate. “The British Government has refused to honour its responsibilities. Their objective has not been truth and healing but continued cover-up of their actions in Ireland. “They have also set aside the democratic wishes of the people and are intent on imposing Brexit and continued austerity. Gerry Adams echoed the words of Michelle O’Neill. Secretary of State James Brokenshire now faces a choice between fresh elections, direct rule or perhaps an extension in the hope some compromise can be reached. DUP deputy leader Nigel Dodds told the BBC’s Good Morning Ulster: “We believe that Sinn Féin were never really serious about getting the executive up and running at this time, that they played for time.